21st February 2008. In this Issue: Discounted 4WD and Camping Guides, Bush Camping with Dogs Guide Book, New Innamincka Trek Notes and the latest updated Trek Notes. With Easter only 1 month away now's the time to get some ExplorOz inspiration. Our Forum is where you discuss it, our shop is where to buy it, our articles are where to read it, in Places you can see it, and in Road Conditions, Fuel Prices and Weather you can check the latest so you'll always be informed! Plan the perfect family Easter with these popular books now on discount. Have you had a chance to check out the innovative features of the new ExplorOz Shop? In particular, be sure to keep an eye on the Shop Super Specials They change every few days so don't go past a great bargain when you see it. Did you know that every	ExplorOz Trek Note has a list of recommended reading items? Every available map and the most relevant atlases, books, camping guides etc will be listed with easy access to the shop for your convenience. The stage is set within the Innamincka Regional Reserve for you to take	a historic adventure. With 2 new trek notes you'll be inspired to see Innamincka as more than just an outback settlement. Here you'll enjoy one of the most historic, cultural and environmentally rich regions in Australia. The beautiful Cooper Creek providing a lush oasis in the middle of a huge expanse of arid Strzelecki desert landscape is an experience not to be missed. ROMAN CAMPING'S first ever $1/2 million warehouse sale. 3 days only Friday - Sunday, Feb 29 - Mar 2, 9am - 5pm. Come to rear 195-199 Newton Road (off Victoria Street) Wetherill Park NSW 2164. This a genuine clearance of discontinued lines and factory seconds, at prices up to 70% off RRP. 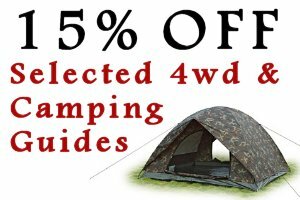 Products include tents, sleeping bags, gas gear, adventure clothing and much, much more. Daily lucky door prizes. Weekend sausage sizzle. WS-Fm giveaways Saturday.